Towards the end of last year, we sold our house and bought a smaller home that had great potential. The existing kitchen was so tiny that I couldn’t even fit all my goods into it, never mind two people in the kitchen at the same time. However, we could see past this and had great ideas. 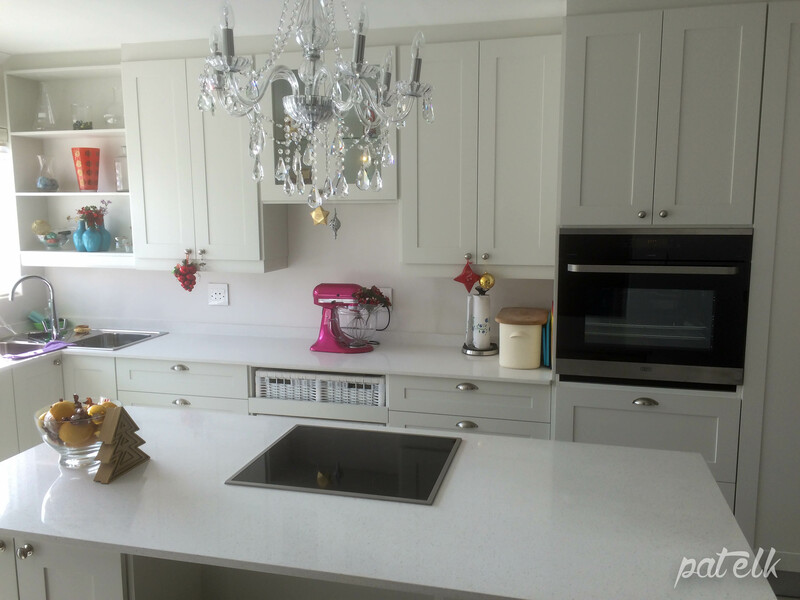 The big thing for us was that we needed a company that could design and build our kitchen, take the old kitchen out, knock down walls and provide electricians, tilers and plumbers to do the necessary fittings. So out we went to explore all the options and request quotations for our new dream kitchen. 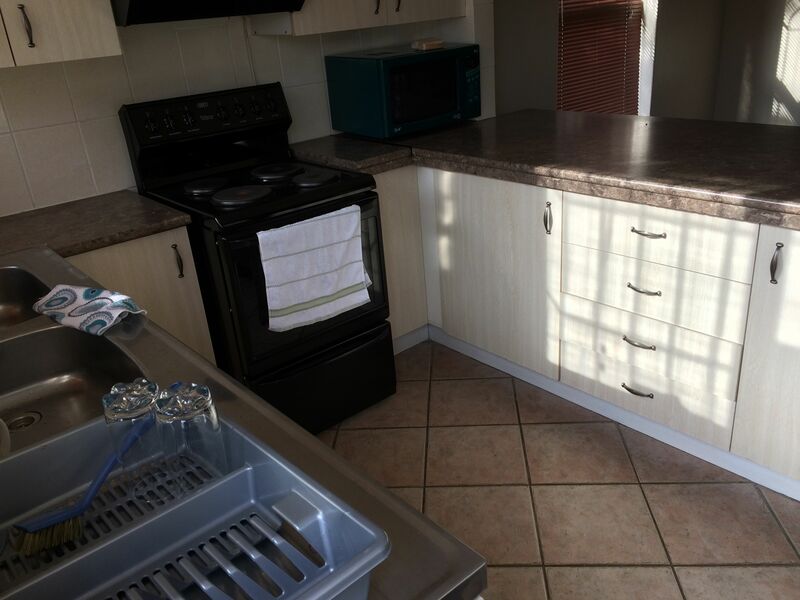 Miracle Kitchens works very closely with KRL Properties (run by Karl Maritz, who is Marc’s son) so we were assured that all our needs would be met between the two companies. Miracle Kitchens came to visit, measure and listen to what our key needs were. 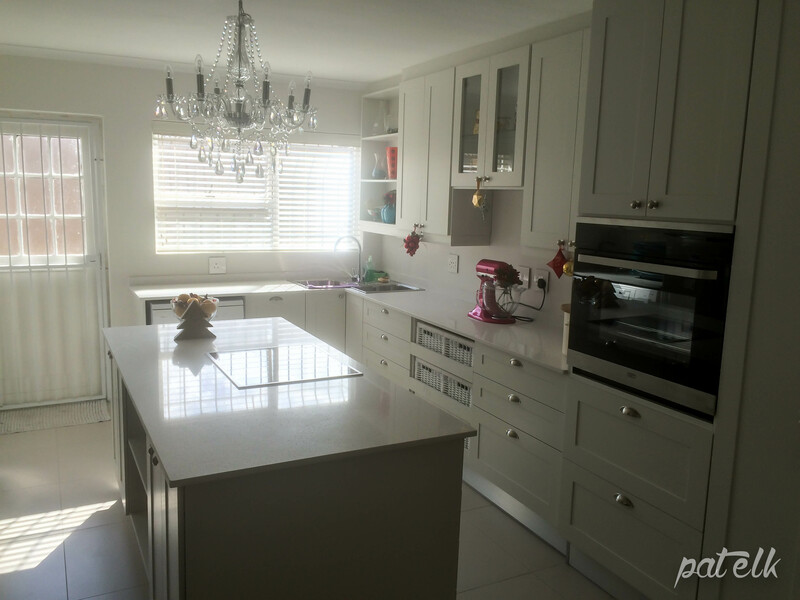 We wanted a light kitchen, with very simple straight lines, that was functional and beautiful. We wanted a centre island, a big pantry cupboard and built-in garbage bin and vegetable racks. We also needed a wall broken down in order to extend the kitchen to where the end of the dining room was, and we needed to lay new tiles. Marc listened, went away and came back with drawings that covered all of our needs, with some very minor adjustments. 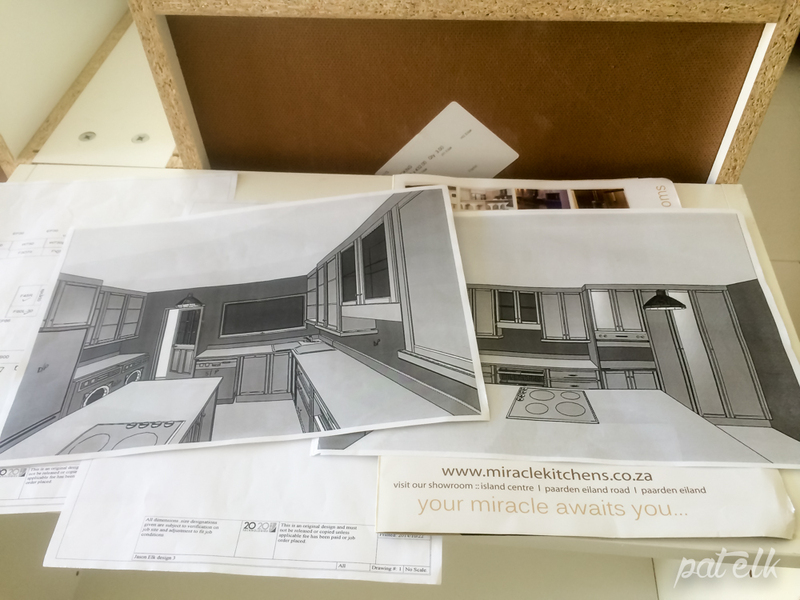 Once we were happy with the drawings, Miracle Kitchens and KRL Properties came back with the quotes. We discussed and negotiated with them on some items, with us purchasing our own appliances, but overall both companies provided very reasonable quotations, which we then happily accepted. Now the work started! We won’t bore you with the finer details of noise, dust and just the awfulness of not having a kitchen and the pain of continued take-away food. The companies tried to make everything as painless as possible, under the watchful eye of Brendon Maritz (Marc’s brother and Karl’s uncle) from KRL Properties and their site manager Rodger Maritz (another brother), who was very attentive, with no detail ever being too small for him to see to. 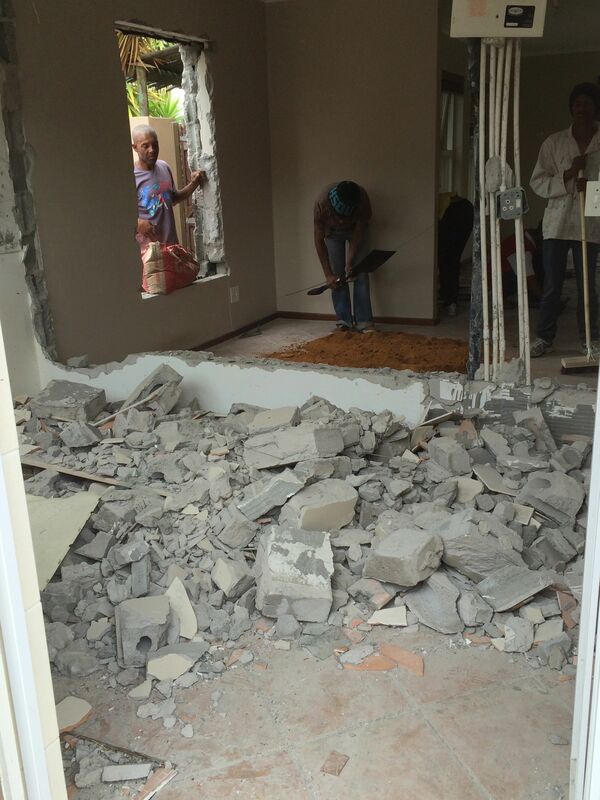 Everything started with lifting the old tiles and laying the new, much larger and lighter, ones. Their tiler Joseph was another magician in the mix. Finally, the arrival of the kitchen cupboards, all neatly packed in units, wrapped in plastic and waiting to be assembled. We were nearly there and couldn’t wait to see the outcome. Here we learned all about crooked walls and straight edges, but this didn’t seem to faze anyone, as there was always another way around the problem. 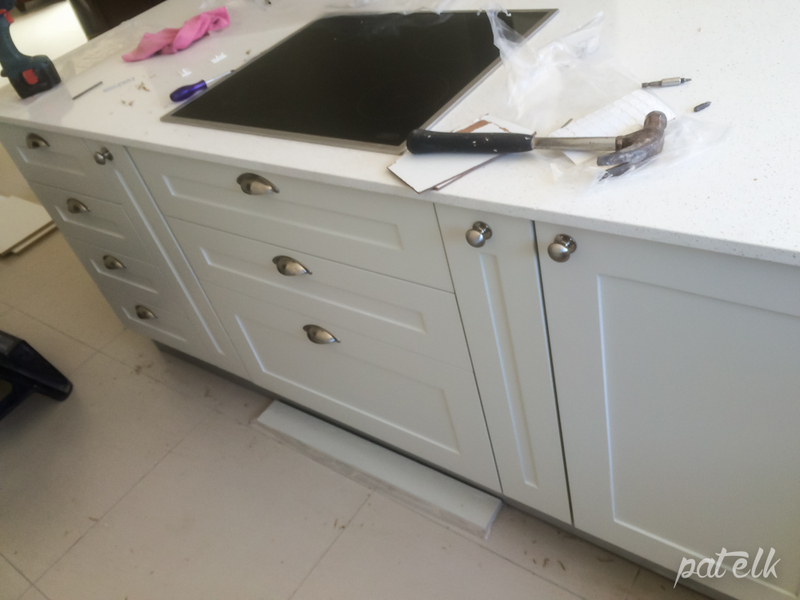 We chose an off-white colour for our cupboards and a silky, hand-painted finish. We got exactly what we wanted and they couldn’t look better. 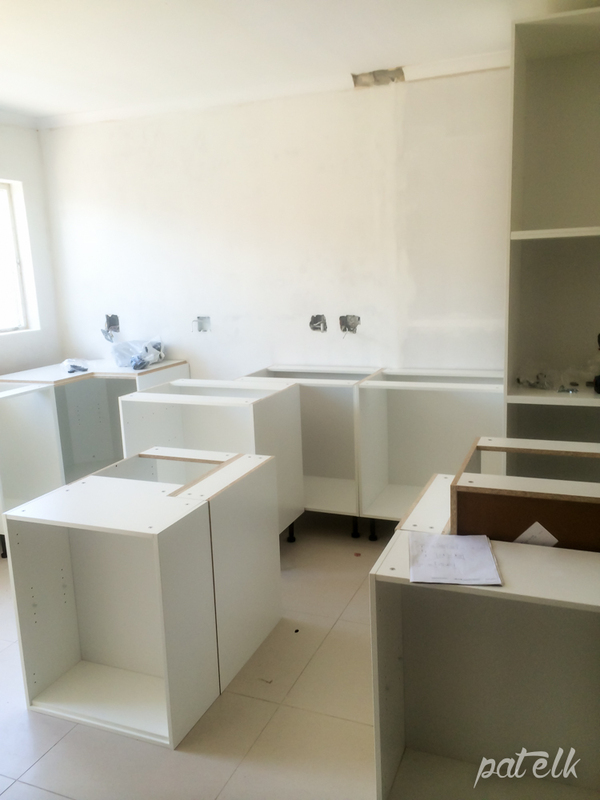 With the assistance of another brother, Bevon Maritz, the kitchen came together very quickly. Bevon sorted out any minor problems with drawer placement, fittings, kick boards and general assembly, and was just as accommodating as the whole Maritz family has been throughout this project. Oh! The wonder of modern technology with “no slam” doors that just whisper when they shut, drawers that seem to sigh softly as they glide back into place, and a two bin built-in disposal unit that seems to magically close, almost like saying abracadabra. What a pleasure. I've always loved cooking, especially with freshly picked ingredients. Between my herb and veggie patch, and sprawling collection of cookbooks and kitchen tools, I'm proud to admit that I'm a food adventurer, kitchen garden ecologist, gadget collector, and insatiable recipe enthusiast. Thank you so much Frieda :) Appreciate your comments.